There are only four months left of 2011, but if you’re a beer lover, they might just be the best four months of your year. 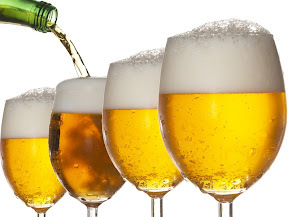 In fact, even if you don’t love beer, you just have to love fun and you’re also in for a treat. Cape Town is fast becoming known as the beer capital of South Africa, maybe it’s because we have the oldest brewery in the country here (Newlands Brewery), or because we have a substantial number of craft brews being produced (and drunk) here. Maybe its because it’s the home of the We Love Real Beer movement. But whatever the reason, the fact is, Cape Town is no longer just about wine (and beautiful scenery, and beaches, and art, and, and, and…). 14th Oct – 30th Oct: Now this one is an institution. 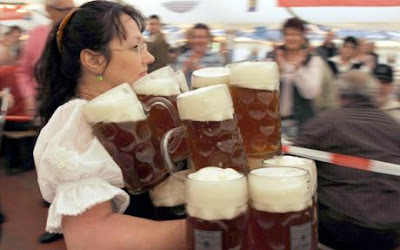 The Paulaner Octoberfest is in its 10th year and is well known for being a great party. Even though it runs for two weeks, it’s busy all the time. In fact weekends are so jammed you need to get there early. There is live music and 9,000 litres of the special Paulaner Oktoberfestbier, but no cover charge! Details on the website. 25th Nov – 27th Nov: The Cape Town Festival of Beer started last year with a bang so this year will naturally be bigger and better. This festival is all about the beer and the good times that go with it. All beers are welcome, whether craft or large production so there is a serious selection of beers. Added to that is the party tent with live music and a whole host of fun activities. Missing this would be a mistake. Tickets from R60 and details on the website. 8th Dec – 10th Dec: Beer Essentials premium beer festival. This is running for the first time this year, in Joburg and Cape Town. They are trying to provide a more premium experience with tutorials, pairings, etc. It’s happening at the ICC and I don’t know much more than that. There is some information on their website. So there you have it, five beer festivals in four months. What more could you ask for? To win awesome prizes including a trip to Munich for the real Oktoberfest, beer vouchers, Kings Tables,a vip day out, beer for a year and free entry to this years Cape Town Festival of Beer from 25-27th Nov, sms CTFOB and your name to 36925. For more see our website. You beat me to it Dax – was going to post a similar blog post! Do you guys know when the Oktoberfest at Deutsche Schule (Tamboerskloof) takes place?